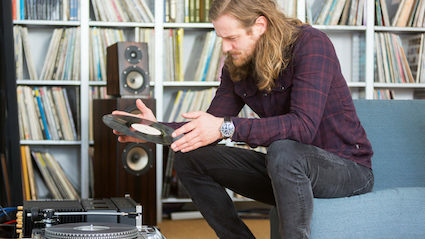 A RECORD collector who sees a noticeable difference ‘Near Mint’ and ‘Very Good’ is destined to always be alone, it has been confirmed. Martin Bishop, from Swindon, recently bought a copy of After the Gold Rush by Neil Young online after seeing it was listed as ‘Near Mint’ only to find small creases along the spine and a slight crackle on some of the songs. He now plans to post negative feedback about the seller, Tom Logan to save any other future record buyers the same heart break. Bishop added: “I’m helping the record buying community as a whole by leaving this negative feedback and my wife agrees with me. “And by wife I mean my mint condition copy of Pet Sounds that if you so much as look at I’ll hit you with a chair. 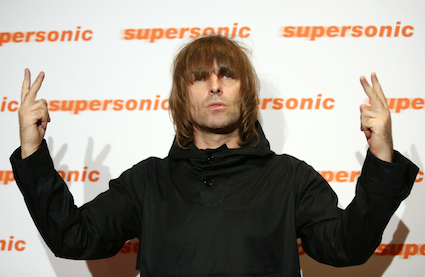 THE class of primary schoolchildren questioning Liam Gallagher yesterday made me smile, but it also made me sad. So many of them had no idea who he was. And I think it’s unquestionably true that we wouldn’t be having all these problems with the youth of today if more of them followed Liam’s heroic example. I’m 38 and throughout my life, through my difficult career as a fireplace salesman, through that unfortunate prison stint, through two failed marriages, I have always followed one guiding star. Liam has never let me down. He’s always been true to himself. He hasn’t let the world change him, no matter how hard it’s tried. And in the difficult moments of my life, for example when I’m ready to lamp my brother-in-law for firing me, when I’m pulled over by the police while high on cocaine, when a bird in a club’s giving me the eye while the wife’s at the bar, I ask myself a very simple question: ‘What would Liam do?’. While I can’t say it’s kept me out of trouble – quite the opposite – I have few regrets. So when I meet young people, I tell them to ditch their pathetic heroes like Harry Kane and Malala. I tell them to instead follow a 45-year-old football hooligan and drug abuser who fucked up the only lucky break he ever had. And if they say no, I knock them down. I won’t be having no disrespect.